Michael Bull is the real deal! I have long been an admirer and follower of all of his amazing Content Marketing. When people ask me for examples of how to use Content Marketing to building their business, I always respond by saying, "Check out Michael Bull!" Always innovating. Always teaching. Always on the cutting edge. That`s Michael Bull. He really has set the bar on how to teach commercial real estate professionals to be the, "best in class" sales and marketing professionals. 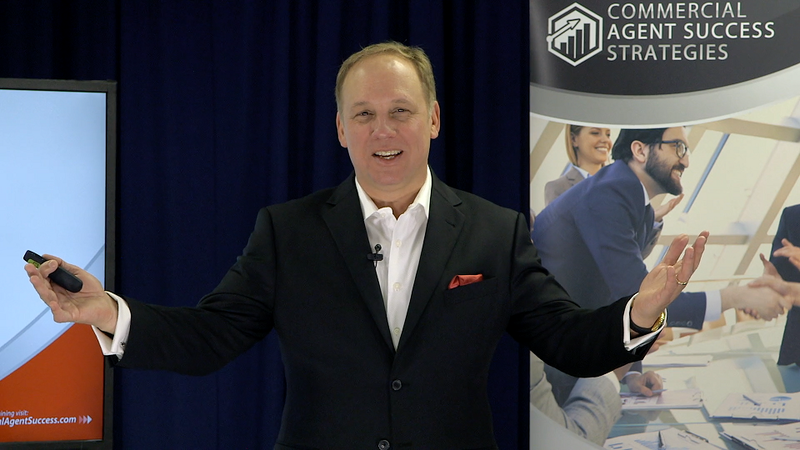 I recently caught up with Michael to learn more about his latest marketing and training initiative, Commercial Agent Success Strategies. It`s a very innovative video series aimed at helping real estate professionals grow their business. Again, the guy just keeps innovating and teaching. Really admirable. Michael Beckerman: Can you describe your current Content Marketing assets and a little bit about them? Michael Bull: My content marketing includes the podcasts, videos, and blogs from America`s Commercial Real Estate Show. I`ve been the host and executive producer for seven years and my brokerage firm is one of the show`s advertisers. I also produce an approximately 90-second video every business day called Ask Michael Bull. You can see them at the tab "Answers" on the show website www.CRE.show, YouTube and Twitter. In addition, my firm produces e-newsletters with market updates and useful information on each sector every month. Our agents send these to clients and have the option to send a quarterly print newsletter as well. Old school! I also speak at events, moderate panels and comment for various press outlets. We also enjoy interacting with people on social media with the show, firm, and now with CASS. Michael Beckerman: Tell us about your new product offering, Commercial Agent Success Strategies. Michael Bull: CASS provides streaming video training for commercial agents. I picked the 20 most valuable topics for brokers and created a series of videos. I pack a lot of valuable information in these videos, which average about an hour each. The training is designed for experienced agents looking for inside knowledge to close more transactions and enjoy a steady growing business. Topics include: "Closing the Bid-Ask Gap", "Say This – Not That", and "Promoting Your Services and Brand." Some of the videos include downloadable forms that can be customized for local markets. Michael Beckerman: How do Agents gain access to this innovative service? Michael Bull: Agents can access the videos with an individual license on the CASS website. They can pick one or more videos of most value to them personally or access all 20 modules. In addition, managing brokers or team leaders can license the sales meeting version and show the videos to their entire office. The sales meeting access comes with forms and also includes Slide Deck Action Notes to increase retention and results. The website is www.CommercialAgentSuccess.com. Michael Beckerman: What would you say are some of the most common mistakes Agents make in their sales efforts? Michael Bull: Inconsistent prospecting, lack of training, and not running their business like a business. As a commissioned agent, you are running a business. Investing the time and money to learn best practices, set up proper business development, operations, and personal accountability can really boost results. Michael Beckerman: And what are some of the most important tips you can share to ensure success in sales? Michael Bull: Study sales. Read and listen to Stephen Covey, Brian Tracy, and Zig Ziglar. Training should include pure sales techniques, time management, and negotiation skills. In this business we work with successful, busy people. If we can`t get and keep their attention, and persuade them to make good decisions, our income will be limited. CASS provides sales skills specific to commercial agents such as securing exclusive assignments, getting clients to properly price listings, getting counteroffers accepted, and best practices for handling deal killing re-trades to name a few. Michael Beckerman: Can you provide an overview of your own career in real estate and Bull Realty? Michael Bull: I started selling real estate when I was 19 years old and still in school. My first sale was a 20-unit apartment building. At 23, I was a full-time commissioned only agent with a focus on selling multifamily properties. Twenty years ago, I started Bull Realty in Atlanta to create a company name known for integrity and expertise. I have closed $5 billion in sales and leases. I`ve trained select agents for 20 years. I have seen what works and what doesn`t. Now it`s time to share the wealth. Michael Beckerman: Where does your passion for training come from and how has it helped you in your own business? Michael Bull: The more we add value to the people around us, the more it adds value to our life. Michael Bull is an active broker who has closed $5 billion in sales and leases over the past 30 years. He has also earned the CCIM designation, is a licensed broker in nine states, is the host and executive producer of America`s Commercial Real Estate Show, and is the founder and an active broker with Bull Realty, a commercial brokerage firm headquartered in Atlanta. Connect with Michael Bull on LinkedIn. Watch Michael Bull`s Commercial Real Estate Show here.